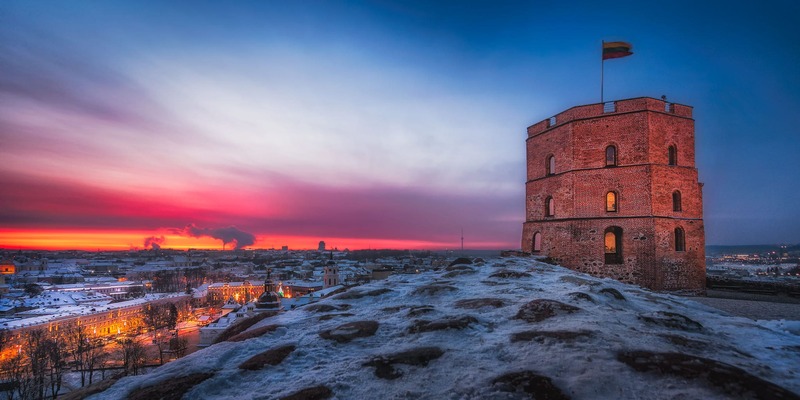 A winter photo of the Gediminas’ Tower in Vilnius, taken in a very cold day. For most people, the days around Christmas and New Year are the perfect time to relax. For me, this is often a very productive period in terms of photography work. 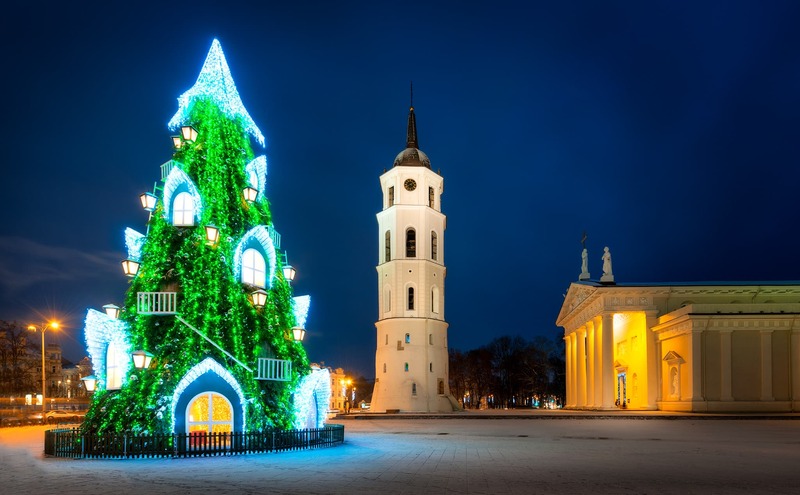 When I look at this photo, I remember how Daria and I went to Lithuania to celebrate the New Year 2016 with friends. I wanted to use the chance of visiting this region and do some photo shooting, so we decided to climb up to the Gediminas’ Tower in Vilnius. The temperature fell to minus 26 degrees Celsius. 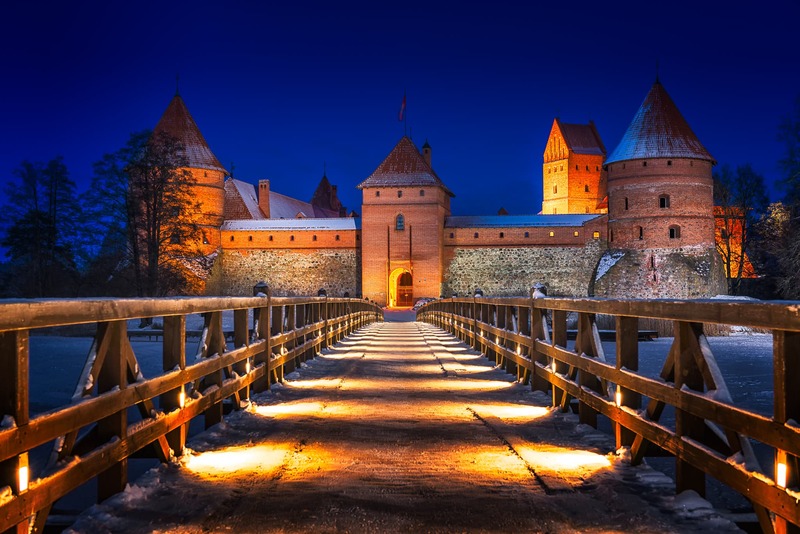 While walking up to the remains of the Upper Vilnius Castle, we could hear the snow cracking under our feet and see pieces of ice, floating into the river. 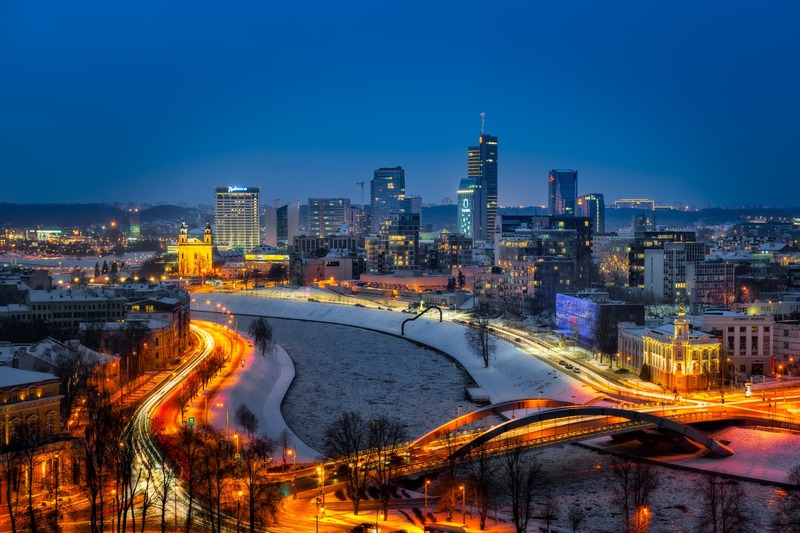 It took me around two hours to capture panorama views of Vilnius during sunset and at the blue hour. 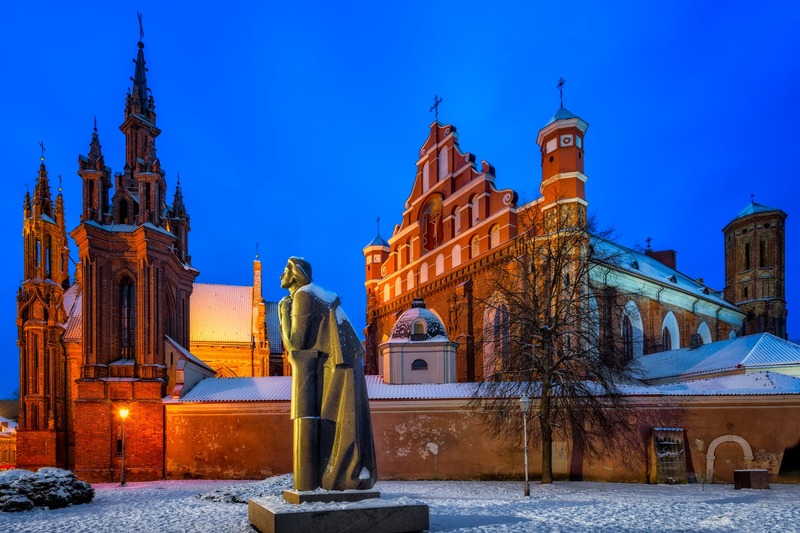 That’s how the capital of Lithuania emerged into our world – from a dream that came true.